Blimey!!! Being a developer is a great job. You have a variant path to choose from hybrid or native, Android or IOS. Don’t you think this can even be confusing and intimidating, especially for the one who is at the intuitive stage? The mobile app is the rapidly growing sector and there are no chances, there is going to be any full stop in this trend. With IoT and wearable tech, more and more apps are being developed for both Android and IOS. The role of developer and the process of app development is changing over time with updated versions of OS, the establishment of new devices and new technological advancements. Choosing the OS to pursue your career is totally your choice but if you are in a pendulum and not able to decide. Let me help you with that. Learn Android or iOS Development? Most prominent OS existing in the market at this stage is Android, IOS, and windows. Well, windows are way back and the other two have captured almost 97% of the market share. Looking at the figures of the Google App Store & Apple Store, it can be said that a number of apps are developed for Android. There are currently 2.2 million apps in the Apple store and 2.8 million apps in the Google play store. This is because Apple store has more stringent app submission guidelines. Before choosing any of the platforms for app development, introduce yourself to the basic pattern to follow for app development. This pattern is denoted as modern view controller pattern which remains same for both the platforms. Analysis of the design screen is done and native controls are fixed. This will result in implying designs in the UI of the app. App project is added proper assets and then the static binding is added and finally, UI views will be availed. The app will then be written in the programming language like java if it is for Android and Swift if it is for IOS. Once the design flow and its principles are clear, here are some of the essentials that might help a developer in excelling at any of the OS. The primary step is considered to be one of the most tricky and complex ones. It takes some time to get used to any new technologies and overcome its hacks. iPhone and Android training are also no exceptions to this. IOS and Android have a different set of challenges and pros of their own. This means both take different learning sessions. 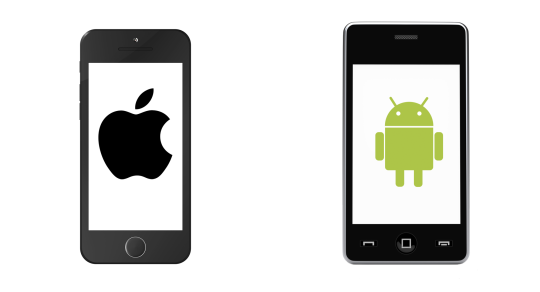 When the comparative study is set, IOS can be considered as mature than Android. IOS has a pre-defined set of rules for app development and submission and this makes approving the app really difficult. Tools used for iOS app development is also quite good like new swift programming language which makes the training time really short. Android is quite different as it has more than 5000 devices running on varied OS versions and screen size. What this means is that a developer has to run various compatibility testing. Even the coding and the output can also be a bit difficult which can be little pain in the head for the newbies to get used to this without diving in deep as it is written in java. Tools impact heavily on any app development process. If the tools are mature and powerful, the sustainability and success of the OS are guaranteed. The integration of IDE affects a lot in the development process. IOS uses the Xcode IDE for the app development process. Whether it is iPad, iPhone, iWatch or MacOS every app can be developed with Xcode. Some of the attractive features of Xcode are UI design interface, debugging, core data, asset management, managing directories and such others. Back in the date, Android used Eclipse but it was not as noteworthy as that of Xcode. That’s why Android came up with “Android Studio” which is now the official language and has replaced Eclipse. However, this has also not been as satisfactory as Xcode but better than Eclipse. Coming to the conclusion, IOS tools are better than Android. Compatibility is not an issue with Android Studio. It can be developed with a major OS like Windows, Linux, and OS. Android apps can be developed on Linux, Mac or Windows machine. Coming to IOS, it is not that flexible. Xcode is designed in a way that it can run only on Mac computer for IOS development. Here the upper hand lies with Android. Developers need to subscribe to the Apple’s membership program for seeing the app live in the Apple store. A developer has to pay around $100 annually. This can be a huge amount of any new developer pursuing iPhone training. On the other side, Android is quite affordable for the new developers. There is a just one-time registration fee of just $25 to get the apps live in the Google play store. Clearly Android wins here.